2019 may just be the best year ever for people who need help with Private Student Loans. Why? Because the Federal Government’s Consumer Financial Protection Bureau has essentially launched an all-out war on Navient, the country’s single-largest servicer of student loan debt, creating what amounts to a Navient Student Loan Forgiveness Program that’ll help anyone who still owes money to the company (whether that debt is Public or Private in nature). Second, The Federal Government has also successfully attacked some of the largest for-profit schools and colleges across the country, going after schools like ITT Tech, Corinthian Colleges (Everest, Heald and Wyotech), and DeVry, and forcing them to cover the outstanding student loan debts of some of their previous students. I think there’s more hope than ever before at getting actual financial relief from private student loan debt, and I’m happy to report that there are all sorts of options you will want to look into to see how much financial assistance you’re eligible to receive. To find out how to deal with your private loans, read through this page and I’ll explain exactly what you need to do. 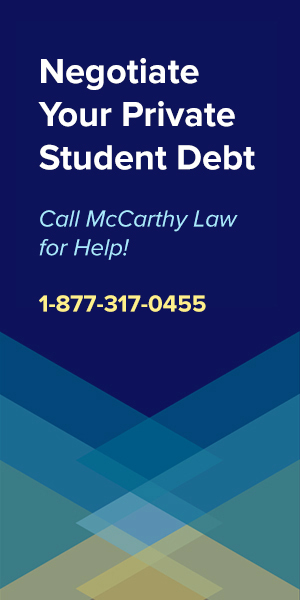 If you’re in a hurry, if you have questions, or if you have a complicated financial situation that isn’t explained here, then I recommend calling the Private Student Loan Relief Helpline, which is a service that can deal with your debt on your behalf. The call for the Student Loan Relief Helpline is 100% free, and you’ll be able to tell them the specific details of your situation, get some advice about what benefits you may be eligible for, then decide whether or not you want to pay them to handle everything for you. 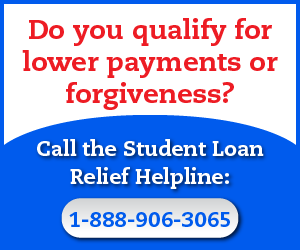 You can reach the Private Student Loan Relief Helpline by calling: 1-866-530-9946. The problem with private student loan debt has historically been that it’s not possible for the Federal Government to impose a comprehensive, universal debt relief program since the loans vary so much from state to state, and from lender to lender. Private lenders do all sorts of things differently, from their application process to their qualification requirements to their maximum loan amounts, debt to income ratios, payment schedules and interest rates, and while there is some regulation in the industry, the rules on lending terms remain quite flexible. And while all of this is still true, there has definitely been some momentum-building initiatives, new legal precedents, and other reasons to anticipate things getting better for those borrowers with private student loans, even in the near future. Let me offer you one quick piece of advice – the best way to deal with your private student loans is NOT to look through all the forgiveness, consolidation and bankruptcy programs, because typically, those programs are only able to help a tiny percentage of the population. 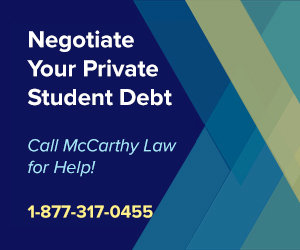 Instead, what you should do is call my partners at McCarthy Law PLC; a group of attorneys who specialize in dealing with PRIVATE Student Loans. They're the only company who can significantly reduce your private debt and lower your monthly payments, no matter how much you may owe or how long you've been in default. How do they do it? First, they negotiate with your lender to settle your private debt for around 40% of whatever you currently owe by promising that you'll pay off the entire settled amount in a single, lump-sum payment. Don't have 40% sitting around in cash? Don't worry! They'll get you a new loan for the amount your lender settles on, allowing you to pay off the settled loan in its entirety, restoring your credit, and reducing your monthly payments. 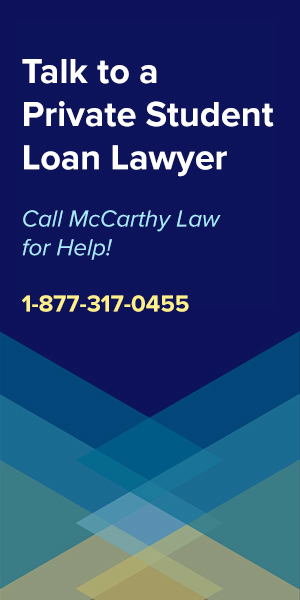 McCarthy Law is the only company I trust to help my readers with Private Student Loans, but please DO NOT CALL them if you only have Federal loans, because they won't be able to help. To get McCarthy's help with your Private Student Loans, call them at 1-877-317-0455. You’ve got a few different options for receiving effective debt relief, but not all of these opportunities are available to every borrower, so you’ll either need to contact one of the student loan consolidation and debt relief companies, or do some research of your own to figure out which of these programs will work for you. 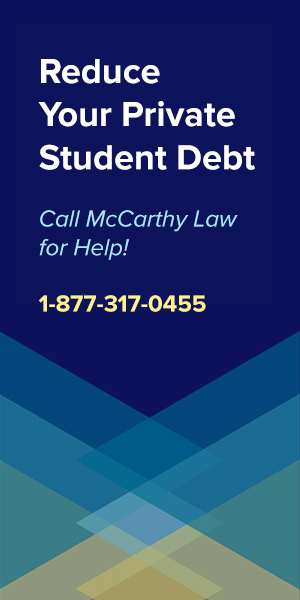 If you do choose to work with a service provider who handles the research and paperwork for you, then I recommend calling the Student Loan Relief Helpline. These people are absolute experts at analyzing your existing debt, finding out how to reduce your payments, as well as how to structure your loans (via consolidation, refinancing or other opportunities) to help you pay it off as quickly as possible. You can reach them by calling 1-866-530-9946. If you do end up having them do the work for you, there will be a cost associated with the research, preparation and restructuring of your debt, but it’s free to speak to them and you will be able to get some questions answered without having to spend any money, so it’s definitely worth spending 5 minutes on the phone with them. Read on for details about how each of these different opportunities can save you tens of thousands of dollars with effective debt relief! We hate to be the bearer of bad news on this one, but there’s literally nothing available in the way of Loan Forgiveness for Private Student Loans. Loan forgiveness programs are incredible opportunities because they allow you to completely walk away from your debt, rather than getting it reduced, restructured, or consolidated, but while there are plenty of forgiveness programs for federal student loans, those of you with private student loan debt don’t qualify for any of them. While you probably won’t qualify for any form of loan forgiveness on private student loans, you do have tons of opportunities to streamline your debt with easily accessible Private Student Loan Consolidation Programs. The biggest downside to loan consolidation programs is that private student loans can’t be consolidated with federal student loans, so if you’ve only got a single private loan, you won’t qualify for any of these programs. Honestly, it’s not that big of a deal anyway, since if you’ve got federal loans you should be able to save significantly more money on them by checking out one of the many available Federal Student Loan Forgiveness Programs. The good news about loan modification programs is that they aren’t just extremely effective, but that they’re also available to virtually anyone with private student loan debt. Whether you have a terrible interest rate, a loan term that’s far too short or some other financial issue that’s causing you serious trouble with making your monthly student loan repayments, you should be able to get some relief via loan modification. Loan modification is a simple process, but it requires getting your lender to agree to change the terms of your loan, which they aren’t required to do. For that reason, it can be difficult to get approvals, but as long as you can prove that you’re facing some serious problems with making your payments, and that you’re in danger of missing payments or even defaulting on the loan, you should be able to get some concessions out of your lender. The bad news on loan modification is that a lender who doesn’t want to budge won’t have to. If they don’t care that you’re having trouble making payments on time, then you just might be out of luck. To find out what you qualify for, you’ll have to contact either the lender who holds your private student loan debt, or one of the private student loan consolidation companies I mentioned above, and let them know that you’re looking for a way to avoid going into default. Tell them that if you can’t get their help, you’ll be forced to stop making payments, default on your loan or declare bankruptcy. The first to ask for is whether or not they offer Private Student Loan Refinancing Programs, since that’s almost guaranteed to save you money, both in the short-run and the long-term. You might want to speak to a lawyer before contacting the lender, because things you say during the negotiation process could come back to bite you later on. Be careful out there! Before you even consider declaring bankruptcy because of private student loan debt, make sure that you’ve exhausted the other opportunities listed above. Declaring bankruptcy is time-consuming, complicated, and expensive; it destroys your credit for up to seven years, making it nearly impossible to get an affordable loan of any sort (be it a mortgage, car loan, business loan, etc.) so it should only be done as a last resort. To make matters worse, Congress also recently passed a law declaring that bankruptcy would no longer automatically discharge student loans, so there’s no guarantee that filing bankruptcy will actually reduce your private student loan debt. However, with that said, you can Discharge Private Student Loan Debt via Bankruptcy if you can prove in court that your loans have placed you in a situation where you’re facing “undue hardship”, meaning that they’re making it difficult for you to provide basic needs like food, shelter and clothing for yourself and/or your family. Sounds easy, right? It’s not, and the lenders have a lot more experience in fighting this process than you do, so don’t go down this route unless you really are having trouble meeting basic needs, and only if your private student loans are the main reason why you’re having trouble doing that. If you’re living in a nice house, driving luxury cars and taking fancy vacations each year, then you aren’t going to win this battle in court. 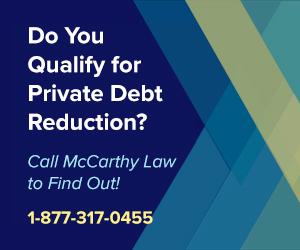 We would advise speaking with a well-qualified, experienced bankruptcy lawyer before pursuing this as a debt relief strategy. You really don’t want to do this, but you should know that it’s an option. Just like any other loan, it is possible to default on your private student loan debt, but you should be aware of the consequences before deciding that this is your best option. First off, defaulting on a loan will obliterate your credit, in many cases, doing worse things to it than even filing for bankruptcy would lead to. Second, Defaulting on Private Student Loans provides your lender with a “cause of action” against you for what’s called “breach of contract” (failing to live up to the obligations you agreed to in your original loan terms). This allows your lender to sue you for defaulting on the loan you took out from them, which could lead to you losing a court case, having your wages garnished, getting a levy placed on your financial assets, or even having a lien attached to any property that you own. Trust us when we say this – default just isn’t worth it. There’s a reason that private lenders make loan modification and forgiveness programs available to their borrowers; they can save everyone involved a great deal of time and money. Before you default on your loan, make sure to contact your lender and let them know what’s going on. Tell them how badly you need help, and ask what they can do for you to make your payments more affordable. In many cases, you’ll find lenders are far more forgiving than you would have initially expected. Unfortunately, it’s impossible for us to answer this question without getting more details about your specific situation. Every private student loan is different, and every borrower faces different financial problems. To get some good advice on how you should proceed, you’ll need to consult an expert and get them the information they need to provide you with a well-informed decision. Again, my recommendation if you don’t want to figure it out yourself is to call the Student Loan Relief Helpline at 1-866-530-9946. Their student loan experts know all the ins and outs of private student loan debt law, and they should be able to point you in the right direction, even without signing up for their document preparation or consolidation services. I am also more than willing to help by answering any questions you have about what would work best for you, so feel free to ask them in the comments section below. If this page helped you better understand your options, then please consider helping me out by sharing it with friends and family on Facebook, Twitter, or Google+. The more people that visit my site, the more time I can dedicate to writing up useful pieces of content like this, and helping you figure out what to do with your student loan debt. Thank you for visiting my site, and thank you so much for your support. I really do appreciate it! Hello Tim. Currently I have 96k in student loan debt from Sallie Mae who morphed into Navient. In 2008 I’d earned an undergraduate degree in biology from Clark Atlanta University (CAU) and upon graduation I owed 57k in student loan debt. 5 years later I graduated again from CAU on a full scholarship with a terminal degree in chemistry. 3 months after graduating, I was shock to find out I owed Navient a whopping 100k in student loans due to high interest rates (24 %). Since, I have been struggling to pay off the debt which doesn’t include the subsidized and unsubsidized federal student loan debt (30k) I also incurred in undergrad. Moreover, it was difficult to find a decent paying job and now as a single mother with a 67k/year salary I’ve had exhausted all forbearance and deferment options Navient offers and had extended the term of the loan in order to pay $750/month. At times, I make additional payments to pay off the loan but the balance barely decrease because of the high interest rates. Also, I have tried to consolidate the loans but did not qualify because of my income. Do you have any suggestions? I am now a disabled veteran with a private student loan hanging over my head. How disabled? There’s a program called the Total and Permanent Disability Discharge Program that may be able to help. Hi. I studied medicine in a foreign country. Due to some circumstances I haven’t been able to take my boards. Hence, I’m not practicing medicine. At the same time, I have been forced to take on other jobs (temporary) to be able to make payments. I have exhausted my deferment and forbearance options. I have been told I do not qualify for any income driven repayment plan. As a result I defaulted on my loans as of almost 2 years now. Recently I received a phone call from Navient offering me the possibility of loan forgiveness even if I’m on default. I do not know what to do. I’m even scared of finding out the kinds of loans I’ve got. Student loans.gov lists my debt as $0. I have been told that if I continue to do nothing that debt will dissapear. I’m now unemployed and trying to make time to study for my boards. I apologize for such a long comment but I’m really desperate. Any insights will be greatly appreciated. Debt almost never disappears. You need to find out if your loans are Private or Federal, then start looking into the forgiveness, relief and discharge options available to people with the types of loans you have. There are ALL SORTS OF THINGS available to borrowers these days, so there’s a good chance you’ll qualify for some sort of relief, especially if you’re a low-income person! Is there an income maximum to IBR loans? I recently spoke to my loan servicer and they told me some of my loans are not calculated into my IBR and not eligible for the 25 year forgiveness because my income is too high. They are eligible to be a part of my ibr. I’ve literally never heard of this. There are eligibility restrictions for qualifying for certain Federal Repayment Plans (like PAYE, which requires you to be facing a financial burden to qualify), but there are other Income-Based Plans like REPAYE that are supposed to open to everyone, regardless of how much money they make. If you’re talking about PRIVATE loans, then there will be restrictions and this would make sense, but on the Federal side, I would say no. I am finding the content of this site very interesting, but I am still unclear on the chances of private student loan borrowers with loans made by Navient getting anything back as a result of the lawsuits against Navient. Like many borrowers, I have Navient loans with balances that were substantially inflated as the result of high interest rates and forebearances. After graduation I went through a difficult period financially and Navient offered me only forebearances and not income-based repayment. My balances inflated way beyond the original amount borrowed and I am now repaying that at 12.375% interest. What are my chances of relief, from the Navient lawsuits, and on what time scale might this happen? The simple fact is that it’s not easy to get anything back, even when lawsuit after lawsuit are settled on behalf of Navient’s customers, because you have to prove that Navient did something wrong to YOU! You can’t just point at them and reference all their other concerns; you’ve got to prove that they wrong you personally. That’s not easy to do, but it’s worth attempting, especially when you owe a lot of money, or have a high interest rate (like yours at 12.375%!). I have some questions about student debt forgiveness- for schools that have shut down due to fraud. I attended Katherine Gibbs school in Livingston NJ from 2004 to 2006. I was so excited because I wanted to change my life around and do something productive with my self. I saw a commercial for a school that pertained to what I wanted to do. It was “CRIMINAL JUSTICE PROGRAM at Katherine Gibbs college. I called and had a brief interview on the phone followed by a appointment to have a face to face. I was so happy. I went to the school talked with a counselor and he basically told me everything I wanted to hear, now being young and not really knowing anything about school, the process and procedures I had no choice but to trust this man and put my educational life in his hands. He also told me that they were in the process of starting a Bachelors Degree program nationally because of the demand on Criminal Justice students and by the time of my graduation in 22 months it would be in effect and I could further my education. With that being said I signed all the papers, and got registered for school starting Oct 2004. Nothing seemed out of the norm. It was typical to see people dropping out here and there. Towards the middle of my education, I started noticing, teachers not really teaching, we would sign in and leave.. no “real exams” I went to the Dean at that time to discuss with her I was not satisfied with my classes and felt I was not learning anything, she said if I left then I would still need to pay back the entire loan anyway. She coerced me into thinking I should stay and finish and then would be able to transfer my credits to any other 4 year college. I, like everyone who has attended KG was told that they did job placement and that the school was accredited and the credits would be transferable to other 4 year colleges. He also said that I would graduate with 90 credits, (come to find out you only need 60 credits for an Associates degree) SO WERE DID THE OTHER 30 CREDITS GO? NOWHERE!!!!!!!!!!!!!!!!!!!!))) they even gave us a paper that had a list of schools on it that would accept KG credit. This I later found out was false. KG never found me a job nor did they attempt too,they sent me on a interview to a place that did not exist. ( the building was literally closed down. I went to continue my education and EVERY school denied me saying Katherine Gibbs credits was not transferable, I went on to attend Montclair State University, they also advised that Katherine Gibbs credits was not transferable because they do not have classes that are worth 4 credits and they do not have classes similiar to the classes I took at Gibbs. This forced me to change my major to Jurisprudence and none of the credits from Gibbs transferred over. I had to pay all over again for classes I thought I had already gotten out of the way. I WROTE THE PRESIDENT, THE DEAN AND EVERYONE ELSE THAT I COULD THINK OF, AND ALL I GOT WAS A RUN AROUND.. NOW THE SCHOOL IN LIVINGSTON THAT I ATTENDED IS SHUT DOWN, All the Gibbs are shut down now for fraudulent reasons. I did decide however, just finishing my BA with the Montclair State University. I agree that every person who attended KG should have they’re debt cleared. This is not right that we have to pay for this when the school was a scam and they are shut down because of it.. there has to be a way someone can help us. How can I go about having this debt from Gibbs cleared? This degree is worthless, it was not transferred, I had to pay for classes all over again… My mom was a co-signer and they will not leave us alone. My credit is ruined, I am in default.. I’M lost with where to get help for this? Can you help me? You need to consult with an attorney and start working on a Defense Against Repayment letter. I believe that you will be able to qualify for a complete loan discharge if you can prove that these schools violated some state law, or that they outright lied to you, leading you to make faulty assumptions about the quality of the programs, chances for employment, ability to transfer credits, etc. Please see my page about Defense to Repayment Discharges for details on how this process works, and FIND a local attorney who can help you draft your letter! Hi, my daughter is just starting out with about 120k in debt. I’m a cosigner with not enough income to help her qualify for a consolation loan. Is there any non profit loan company’s that help with this type of thing, most are private, little fed. One bank says no other will help with interest only for couple years…HELP! i know u have heard that before.. Unfortunately, there’s not a lot of assistance out there for what you’re asking about. I would try going to Google and making some very specific searches about assistance programs. It’s possible something like you mentioned exists, but if it does, I haven’t yet run across it. I’m more familiar with the official Federal programs, and the loopholes in private borrowing, and haven’t really become an expert on the intricacies of non-profit assistance. One other thing you could try would be posting at the Student Loans Subreddit, here: https://www.reddit.com/r/studentloans. These people may be able to point you toward a group that can help. So $120k is a decent chunk of change; what did she go to school for/obtain her degree in, and more importantly: what is her field of employment? Also, have the loans been in good standing (i.e. not defaulted… deferrment and forbearance are OK)? I believe these will be the most important variables for her and the advice i will be able to provide her (and you) will hinge upon that info. I can definitely offer up some valuable and accurate knowledge, as I am too a victim of Sallie Mae, and I currently work in this field. What do you mean when you say that you “currently work in this field”? Do you work for a loan consolidation company? I know this site it quite old but maybe someone will know… i just got a call from naviant…. apparently the 15k they took from out taxes several years ago was federal loans and the loans thru naviantare private? To the tune now of 94k!!! My husband went to le cordon bleu in atl many years ago.. had 1 quarter left to graduate in 2007…. could never find a job paying decently… he doesnt even work in the restaurant industry anymore. This site isn’t “old”. It’s been around for a long time, but I’m updating it regularly with the latest details. I think your husband has a shot at getting his Le Cordon Bleu debt forgiven because that school has been in a lot of hot water. Check out my post on the Le Cordon Bleu lawsuit and student loan forgiveness program for details. I am a single mom of 3. I have $24k in a private student loan. I am unable to pay it. I have already filed for bankruptcy once to help with my other debt relief. I work full time but my pay goes to day care and to the other bills that I have on a daily basis such as my car and gas. The lawyers that took over my account from AES told me I had to pay $500 a month. I was unable to do that. Today I received a letter in the mail informing me of a lawsuit now against me. I don’t make enough for them to garnish. What should I do? If you don’t make enough money for the company to garnish your wages, then I’m not sure if they have any other means of coming after you. Do you own a home/property? They might be able to put a lien on that, but if you don’t have anything for them to take, and they can’t legally garnish your wages, then you may be able to just ignore all this. I can’t offer you legal advice though, and I would absolutely recommend speaking to a lawyer about this. My first stop would be a local law school internship program or some kind of pro-bono community legal counseling program. You should be able to find free legal advice relatively easily if you live in a metropolitan area. Alternatively, consider posting your question about what to do on http://www.reddit.com/r/legaladvice. There are lots of practicing attorneys there who offer free suggestions for legal matters, and they may be able to help. does anyone have any #’s for private student loan consolidation, bancruptcy, modification; or can point me in the right direction? I need all the help I can get righht now, and these collectors are ruthless! 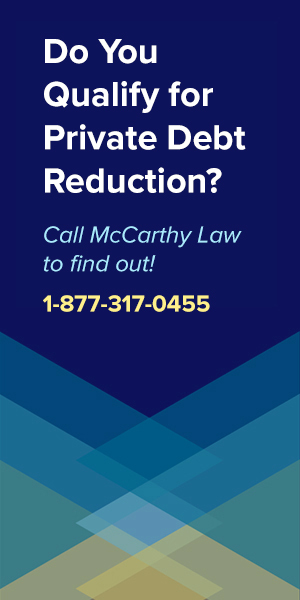 I would recommend speaking with a lawyer before making any decisions about consolidation, modification, and especially bankruptcy. If your loans are in default, and you’re being hounded by collectors, then it’s highly unlikely you’ll be able to receive approval for a consolidation or modification, but bankruptcy may be a good option. That depends though, because it’s not easy to get approval for a Bankruptcy Discharge, and only a lawyer in your area will be able to give you a good idea of what odds you’re facing. It may not be worth the time and investment to pursue. I have $122K in private loan debt with ACS. I am 62, a widow with one dependent. I entered business school in 2004 for which I took on private loans (a big mistake, as I owned property at the time and could have used a home equity loan). (but did not get that advice as school loan officer pushed private loans). Since finishing my MBA in 2006 I’ve worked and earned a good living for the last 5 years, until I was downsized out of two good-paying jobs. Since losing job in June 2013 I’ve been self-employed and received unemployment for 20 weeks. In terms of my private loads I have applied for forbearance but my lender tells me I will default if I don’t pay the minimum next month. I have 20K in credit card debt to pay for living costs over the past 15 months. Freelance Income this year of 44K. I’m have actively sought full time employment, interviewing but no offers. I depleted my 401K, to meet living expenses. What advice do you have in pursuing bankruptcy to clear these debts, as I age i’m feeling less and less confident in restoring my earnings, despite the fact I’m healthy and have good experience. I’m sorry to hear about your situation. It sounds like the school loan officer pushed you the entirely wrong direction – I wouldn’t be surprised if he or she was receiving kick-backs of some sort from the lender that she promoted. It’s a terrible travesty that people across the country are being suckered into these private loans, when Federal loans or other safer forms of financing are readily available. I would advise that you speak with an attorney about your options. 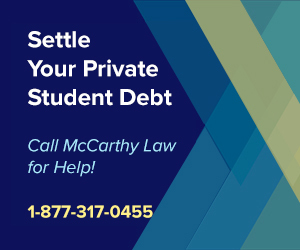 I would have to imagine that you may be able to pursue a Private Student Loan Bankruptcy Discharge based on the fact that you are nearing retirement age, out of work and carrying so much debt. It’s much harder to receive approvals bankruptcy discharges when the court rules that the petitioner has their entire working life to come up with the money to pay off their loan, but considering that you’re just about 10-15 years from retiring, and having trouble finding steady employment, you may have a good chance at receiving some relief. I realize this was written a few years ago. I’m so sorry that you’re experiencing this. But hope is still out there. I don’t know if your situation has changed in any way. In 99.9999% of the cases, student loans can’t be discharged in bankruptcy. If you have your student loans current, depending on the lender of your private loans, and all of the federal government loans include in this, if you have a disability, you can ask the lenders for an application for what’s called, “Total and Permanent Disability”. Your doctor will have to provide written documentation on it. But it’s a viable option for you if you are disabled. In regards to your 401k, was it a traditional 401k or a Roth 401k? If it was a traditional, why did you do that? 401k debt is protected against bankruptcy. Credit card debt, it’s not a big deal. Even if you don’t pay it, it’s still far better than taking a loan from your 401k. I don’t want it to sound like I’m preaching and lecturing you. I hope this helped. I wish you the best of luck. I am truly desperate. I am a single mom and have not been able to pay my loans. Please advise!! Are your loans Federal or Private? If they’re Federal, get on an income-based repayment plan, or look into deferments and forbearances. If they’re Private, then you have to figure out how badly the loans are impacting your life. Are they placing an ‘undue burden’ on your finances, meaning that you can’t afford to pay for housing, food, etc. because they’re so expensive? If so, you may be able to qualify for having the loans discharged during bankruptcy proceedings. I have two private loans and cannot afford the payments. I filed for bankruptcy this year (my lawyer told me that my loans were not eligible to be included in the bankruptcy filing, so they were not discharged), I am unemployed and cannot afford to pay my loans at this time. The lender (American Education Services) will not reduce the payments (let alone defer them). I am unsure as to what I should do. I was able to make past payments with help from family members, but this option is no longer available for me. My mom is a co-signer on this loan and cannot afford the payments either. What are my options? I’m not sure why your lawyer didn’t have you attempt to discharge the loans in bankruptcy, because if you truly can’t afford them (as in, it’s causing you to be unable to pay rent, buy food, etc. ), then they should have been eligible for discharge. It’s possible that having your Mom on the loans as a cosigner would make that problematic, but I would try speaking with another attorney and asking their advice. For Private Student Loans, the unfortunate reality is that there just aren’t a lot of options. Mary, except for filing bankruptcy, I am in exactly the same predicament that you are in (unemployed, AES private loans, Mom co-signer). I’d like to get in touch with you, if you’re open to that, to compare notes so to speak. I’ve been paying AES for 10 years ($600 month), I took out multiple loans and my Mom cosigned because my income at the time wasn’t high enough to secure the loan on my own. BIGGEST MISTAKE I’VE EVER MADE! It’s prevented me from being able to live on my own and is ruining my relationship with my Mom because of the stress. If you’re open to getting in touch, please let me know and I’ll reply with my email address.